If you would like to march with the SEA please be at the meeting spot by 10:30am (staging area for SEA is circled on the map below). We are in the first half of the parade this year and are expected to set off around 11:20am. You are required to get wristbands from the team leader and we would like to do a group photo at 10:45am, so please arrive promptly. PLEASE WEAR FUN COLOURFUL CLOTHING and do not show up in all black. Remember sunscreen (quite a few of us were burnt last year) and feel free to bring bubbles to blow into the crowd. We have various signs that were made over the years that will be available for people to carry, as well as the banner than needs to be held by 3 people. 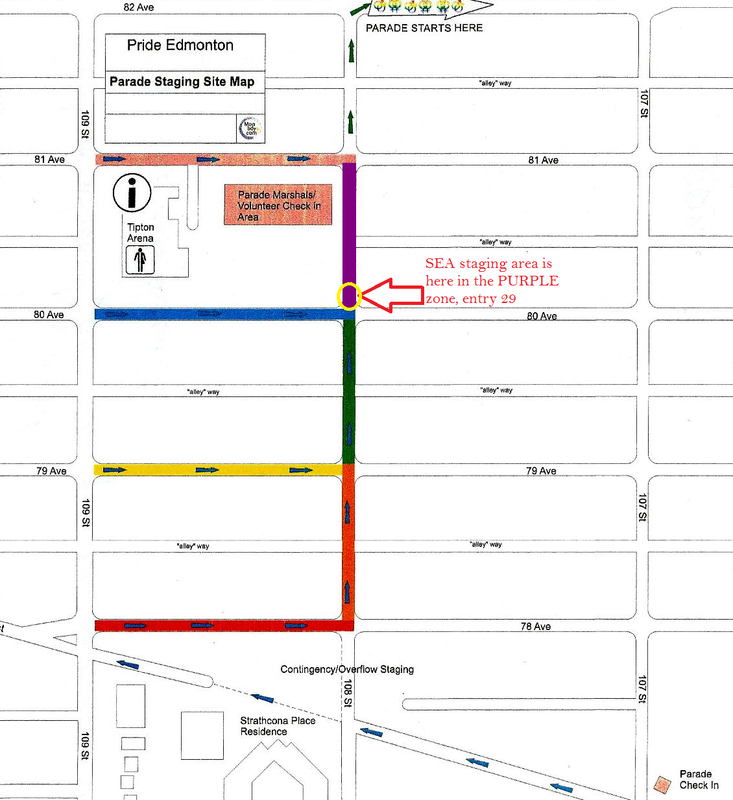 Our entry is #29, and we are to meet in the PURPLE ZONE for staging, on 108st between 80 ave and 81 ave. As we are one of the last in the purple zone, we assume our staging area will be closer to 80 ave as shown on the map. Please remember parking is very limited, take transit if possible and/or get someone to drop you off as nearby as possible. 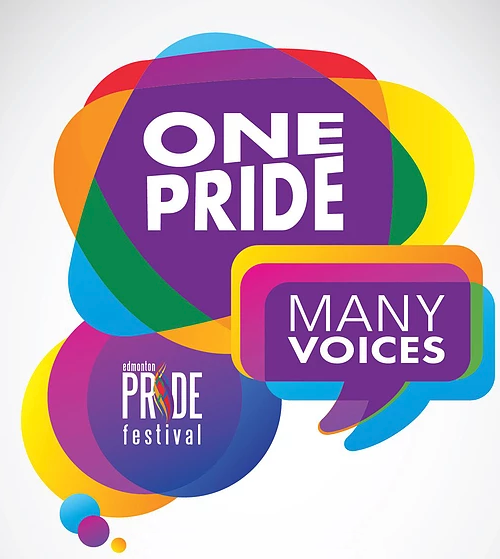 We are at booth 305 this year, if you would like to volunteer to help us out then please message us to let us know what time you are available. Ideally we’d like two people on each shift after the parade is over.